There were a number of other highlights from yesterday. I took my first subway ride! But first I needed a metro card. My research indicated that I could get an unlimited 7 day pass for $30 and that the vending machines would accept $50, which was the only note I had at the time. Trouble is, when I tried the machine it was only going to give me a maximum of $8 change. So, déjà vu, off to get some other notes. This time it was easier because a nearby ATM provided options for choosing denominations. Re-armed with the right money I got my card and got on my way. 5th underground around the world successfully navigated! 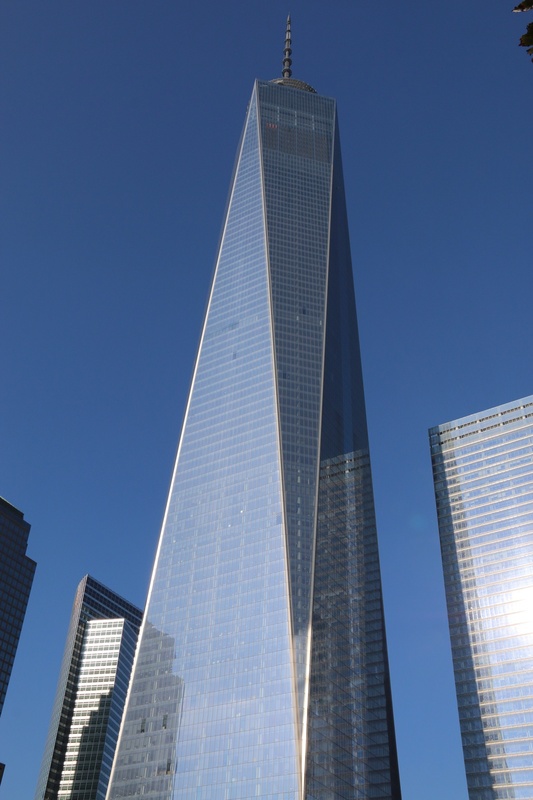 After visiting the 9/11 memorial I took a number of pics of the new One World Trade Centre. Got to love a big shiny tower. In the aftermath of the memorial emotion I stopped for some pizza. When I first saw the massive slice I didn't think there was any chance I'd finish it - but I did. Too good. When I got to Battery Park I got my first glimpse of the Statue of Liberty in the distance. All long the Hudson are the remnants of piers. Some in better condition than others. Then in the evening I went to a performance which was part of CMJ, a mini music festival happening at the moment. 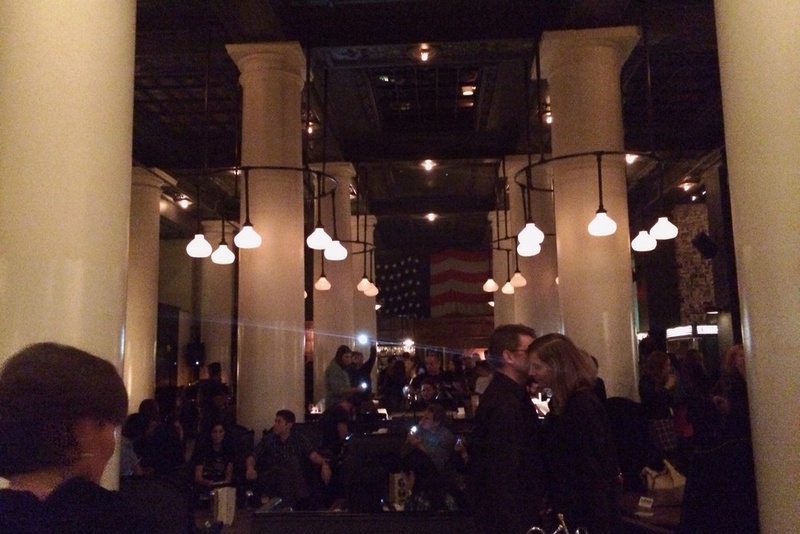 It was being held in the lobby of the Ace Hotel. The general idea was that a group of diverse musos would congregate and "play" variations based on A or E. The end result was more drone than music but quite hypnotic. And diverse was an understatement. Electric guitars, analog synths, harp, brass, violin, home made organ contraption, cell phone apps; they all added their own timbre to the overall sound. The piece went for an hour so I did little circuits of the lobby, checking in on the different instruments and hearing how the sound changed as I got nearer. And it was also bemusing to see the expressions on hotel patrons as they entered the lobby and wondered what kind of alternate reality they'd stumbled across. Gold! I loved the performance and was proud of making it out at night in NYC on my own. But I was back at the hotel by about 10:00 and ready for bed. If you're interested, here's a video of last year's event. So that's it. A day so big it needed three posts!